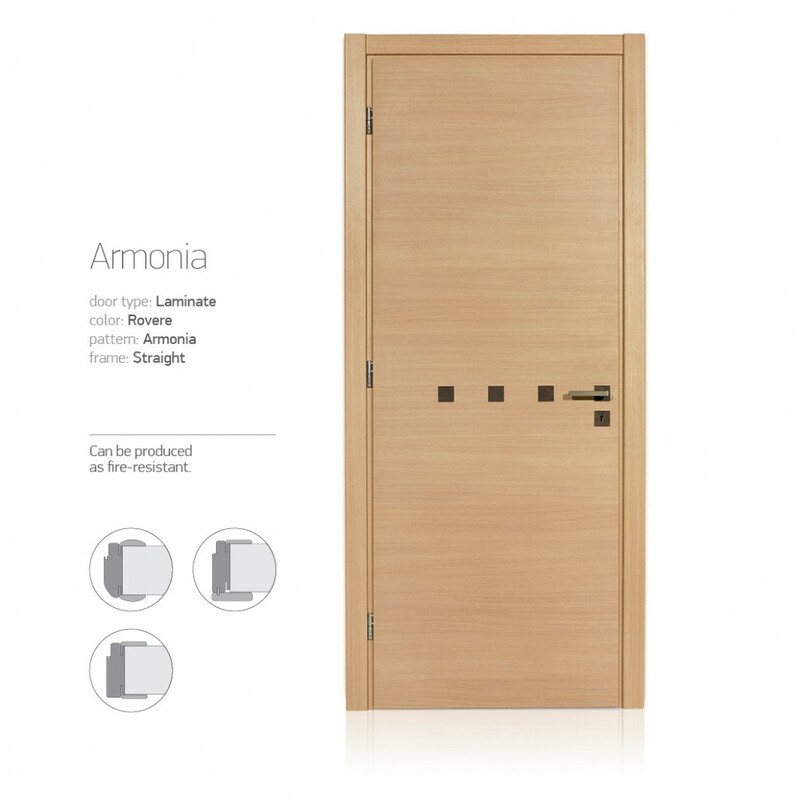 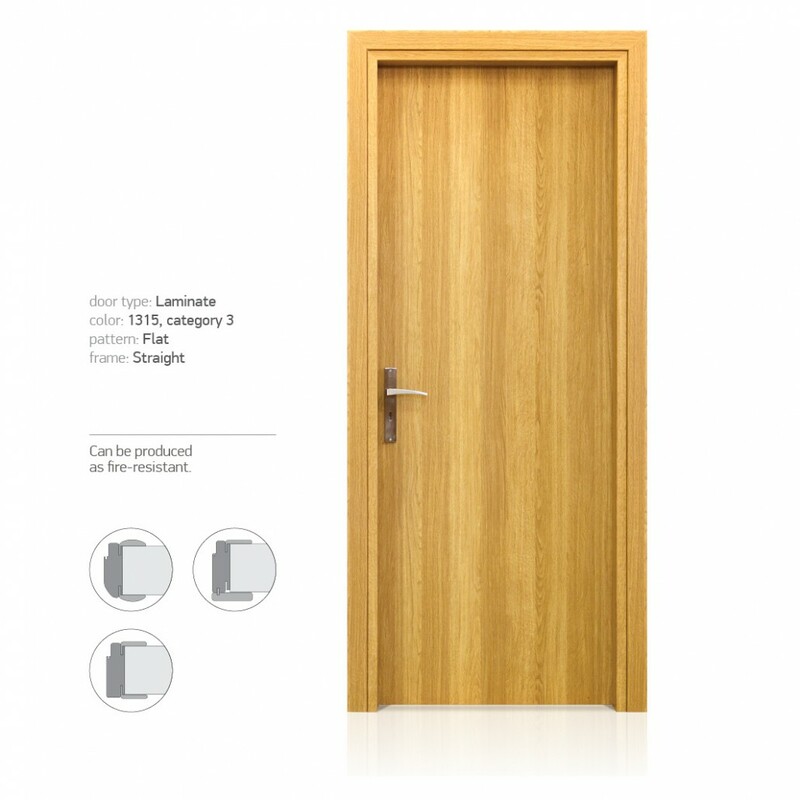 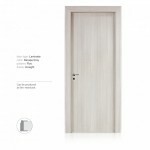 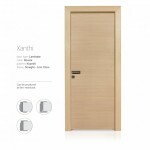 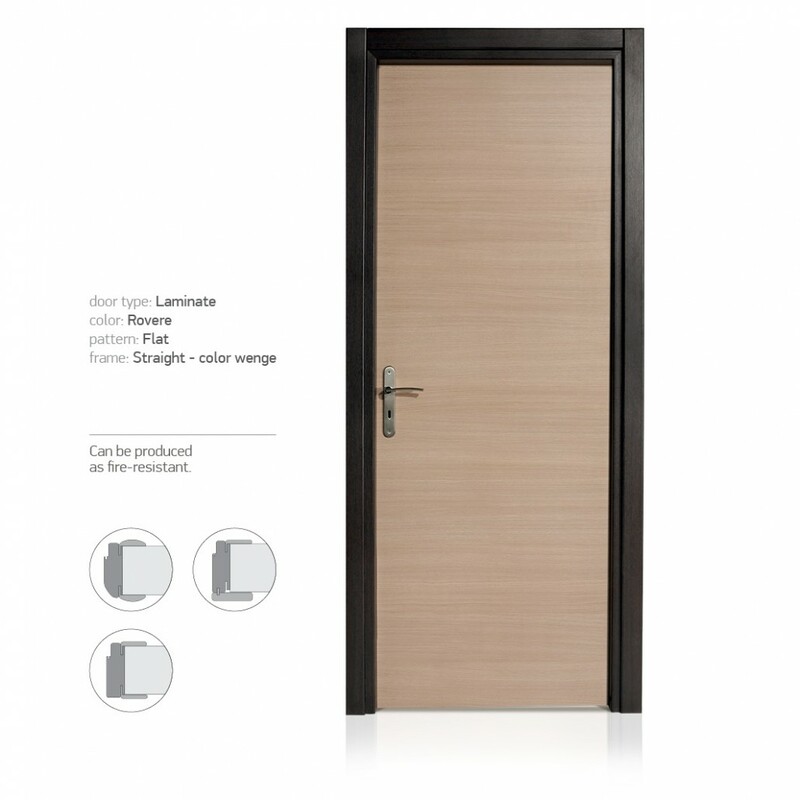 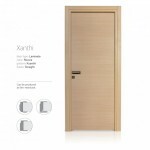 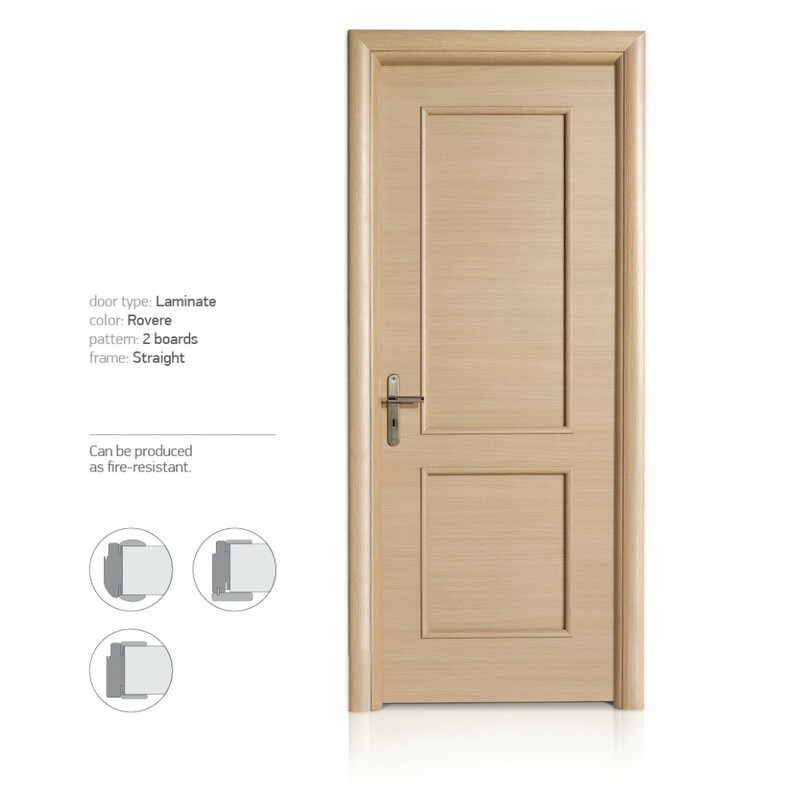 Laminate doors combine two basic characteristics. Low price and best quality because of its proven durability. We propose a frame Rounded or Straight form, also in a different color frame and door. The manufacture of door leaf consists of a wooden frame filled with stabilizing core “honeycomb” and is covered on both sides with MDF. The frame construction is made of blockboard and the trimms is made of plywood. • Three bolt hinge, simple interior lock and rubber. • The color of the standard hardware are yellow (gold). 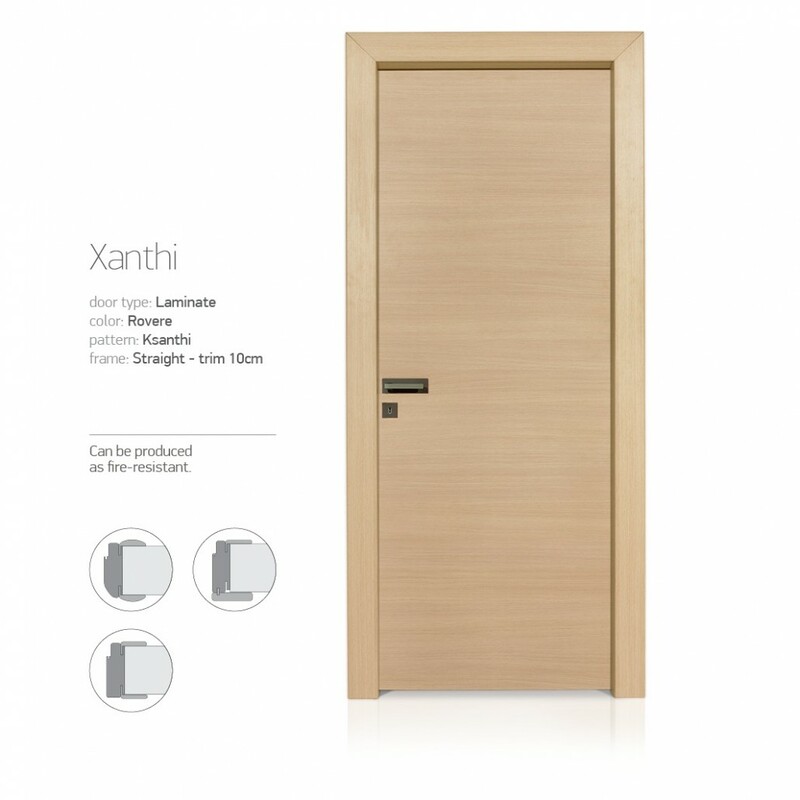 • Change color from yellow to inox. • Lock “mediana”, safety lock, safe lock (only for door entry), cylindrical locks, magnetic lock, WC magnetic & standard lock. 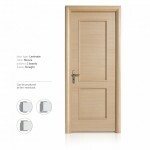 • Aluminium rail 10mm x 3mm, 5mm x 3mm.• Frame glass – Frame veneer. • Wall thickness: 10cm – 13cm – 15cm. 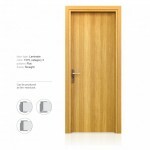 For wider use extension. 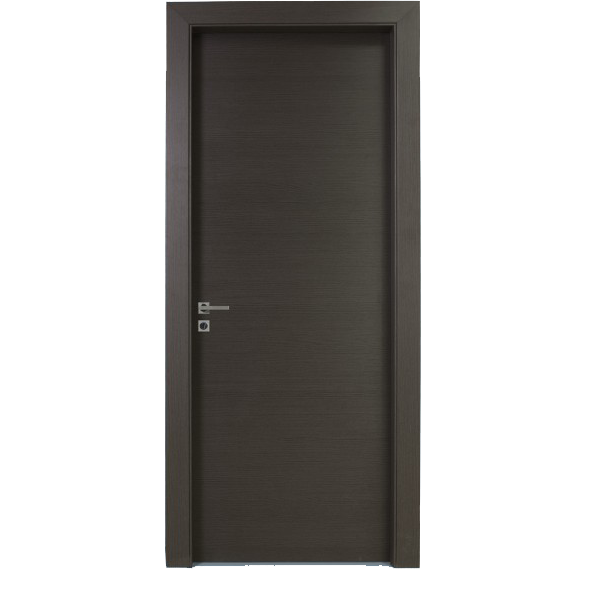 • Door width: 64cm – 69cm – 74cm -79cm – 84cm – 89m – 94cm – 99cm. • Height: 214cm and below (trimms coverage up to 2,19cm).